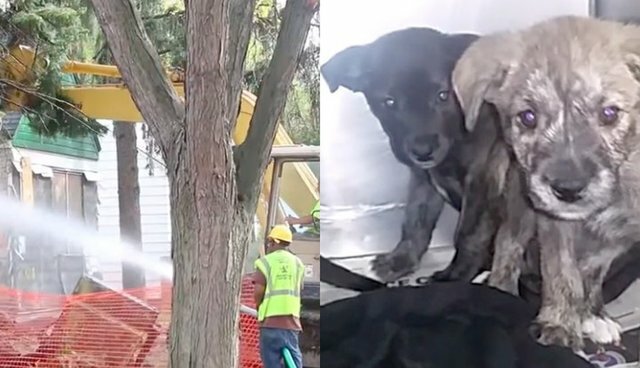 Rescuers from the Michigan Humane Society are used to saving dogs from tough situations, but this call was more urgent than most - a demolition crew had heard the squeaks and barks of puppies somewhere inside an abandoned home, moments before they knocked the whole thing down. Rescuers showed up and began to search the house. They realized the puppies had to be in the home's basement, which was dark and crowded with old furniture and moldy clothes. As soon as rescuers discovered the litter hiding under a dresser and lifted it up, the frightened puppies scattered around the dark basement. 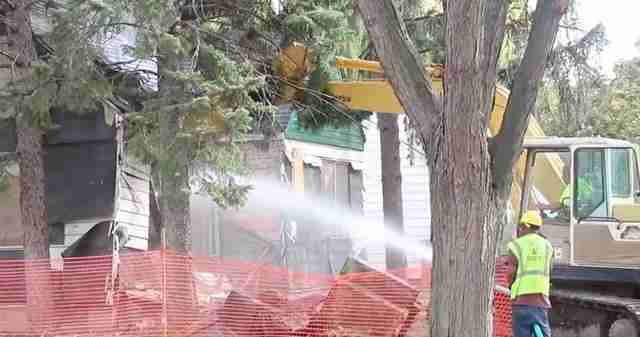 The rescuers carefully gathered the puppies, going over the house meticulously to make sure they didn't miss one. When they were sure they had found all the puppies, rescuers packed up their van and headed back to the shelter to give the puppies check-ups and get them ready for adoption. The mama dog was nowhere to be found. Back at the shelter, the puppies were given their shots and fussed over by vets. At first they were wary of humans, having lived their whole lives in a dark basement. But soon they came around and became the bouncing, playful puppies they should have had a chance to be from the start. Soon all the puppies will be adopted into loving homes with great families - and they won't have to worry about their houses crashing down around them.